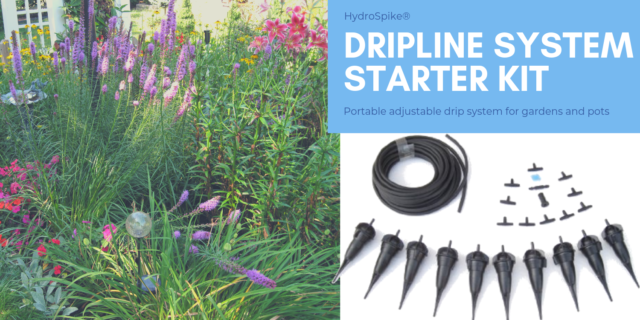 HydroSpike® Dripline System Starter Kit is a portable and deep watering solution for outdoor and container gardens. 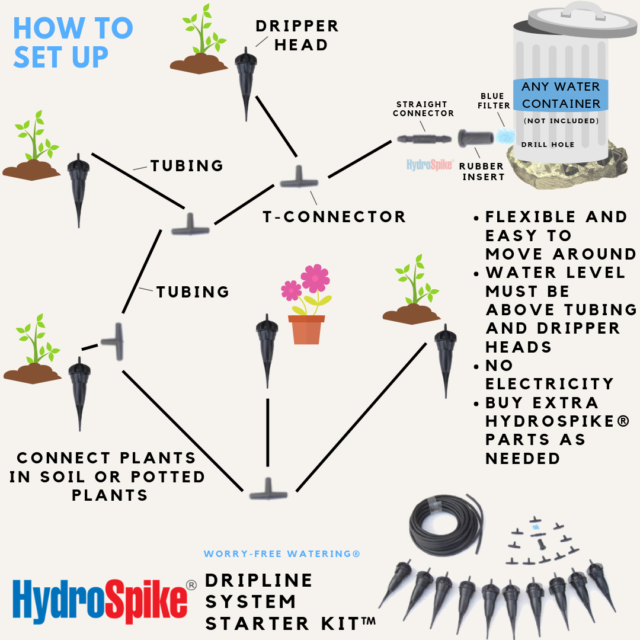 Adjust for your plant’s water needs by simply setting the dial of each dripper to the right amount of water for your garden plants and vegetables. 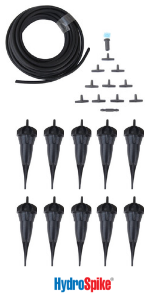 Ideal drip irrigation emitters kit for deep root system watering for healthy garden and container plants. 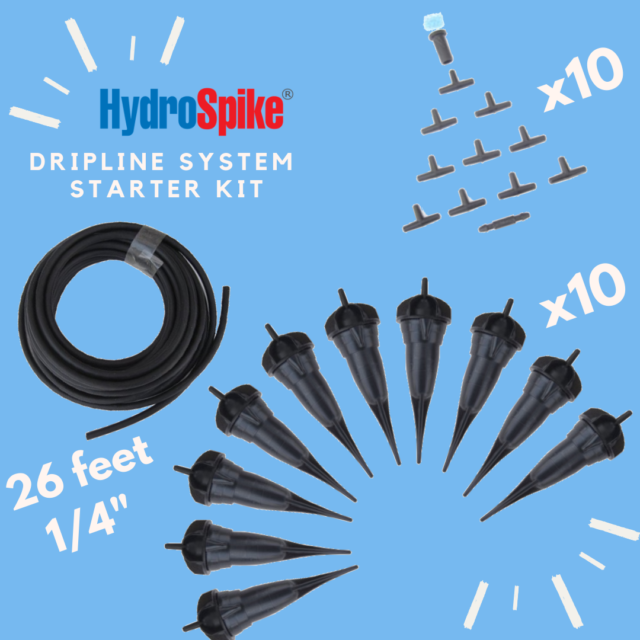 Designed with flexible automatic and adjustable HydroSpike Drippers, tubing line, plastic elbow T-Connectors for efficient drip emitter kit. 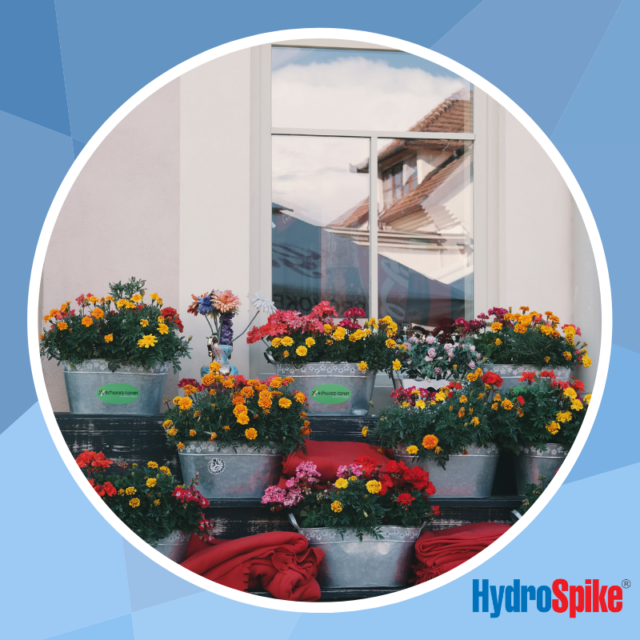 Can be used for outdoor and indoor pots, household plants, vegetable gardens, raised or ground level flower beds, herbs and plants. 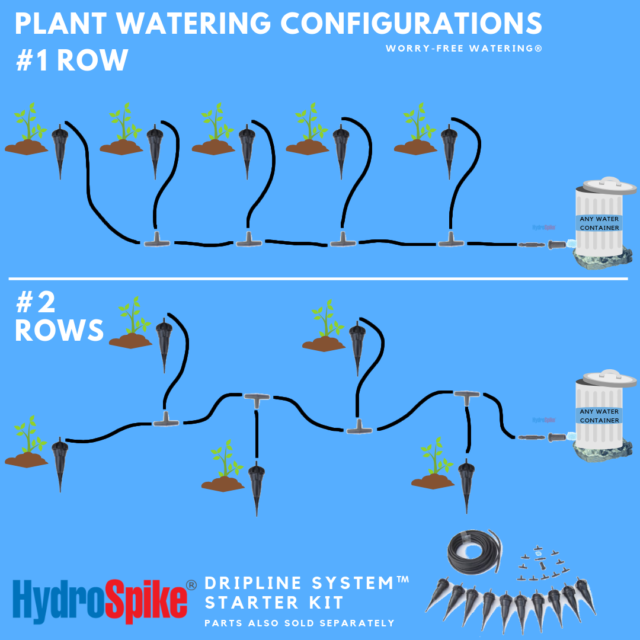 Adjustable dial emitter settings on drippers stake allow you to tailor water drip drop flow by plant, zone area, hydration needs or soil condition. Save water and from over-watering. Flexible drip zone changes can be made by moving dripper stakes. More versatile than a single drip bottle. 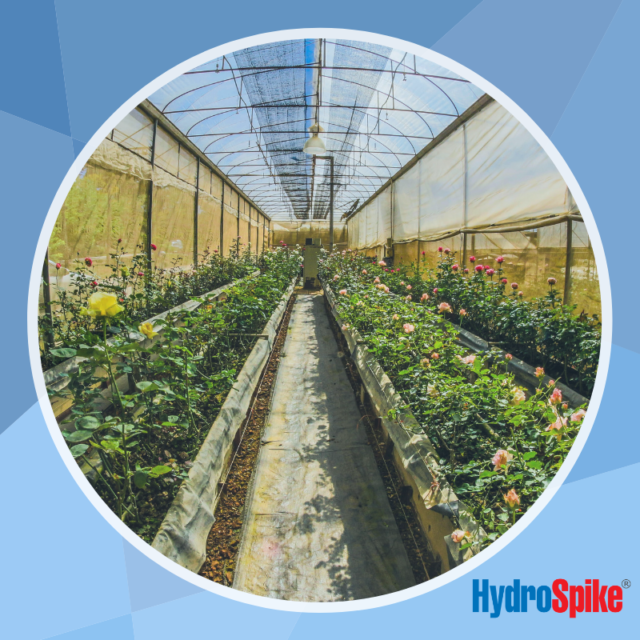 Flexible in where your plants need most water. 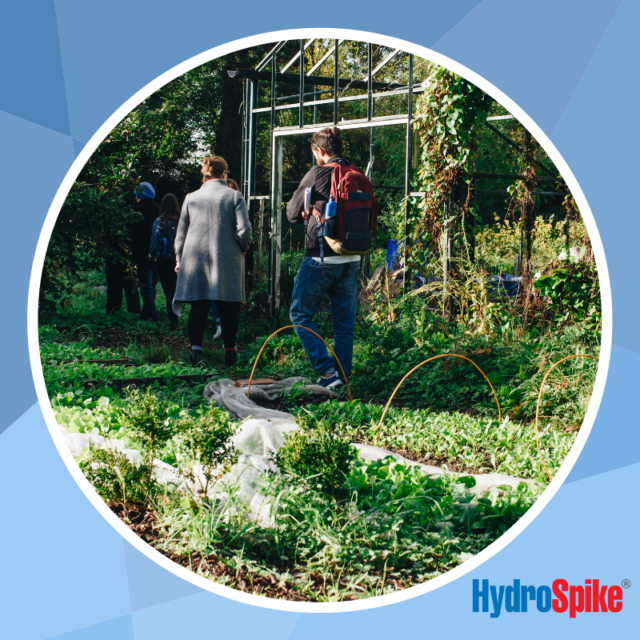 No need to for an attachment or permanent water hose line to limit where you water. If you go on vacation and need water to the plant pot instead of flower bed, easily move so long as tubing will reach. 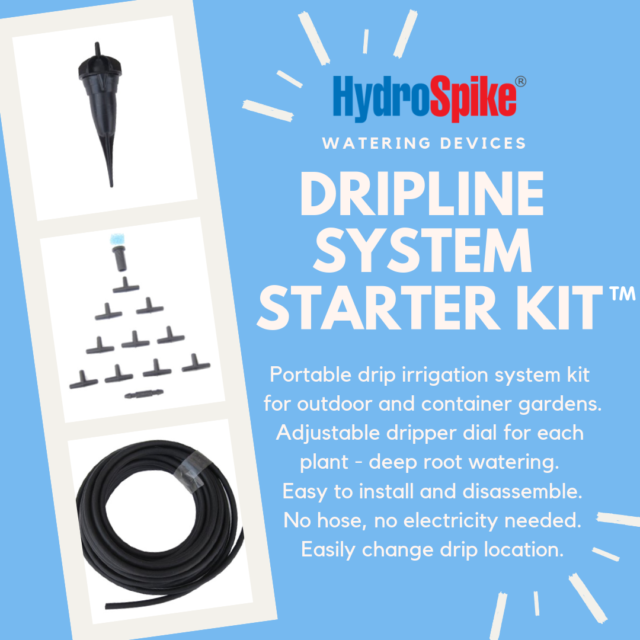 If the drip line system is connected to a container outdoors, the rain and water collected will automatically irrigate your garden! No need to hook to a pressure water line. No hose, no electricity, no batteries no controllers or needed meter as the dripline will continue to slowly drip based on the adjusted settings on each individual dripper.